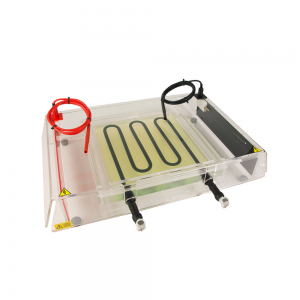 SymphonyW Maxi 2D System comprises all necessary components for 2D electrophoresis using capillary ampholyte tube gels. The system is designed in such a way that the same universal tank and lid are utilized with interchangeable modular inserts to run capillary tube gels for first-dimension IEF and vertical slab gels for second-dimension SDS-PAGE. The dedicated 2D insert is able to run up to 10 first-dimension IEF tube gels with a single run. Running fewer gels can also be carried out by using the included dummy ports. The system can also be used to resolve 18 cm IPG strips in the first-dimension on the flat-bed IEF system. 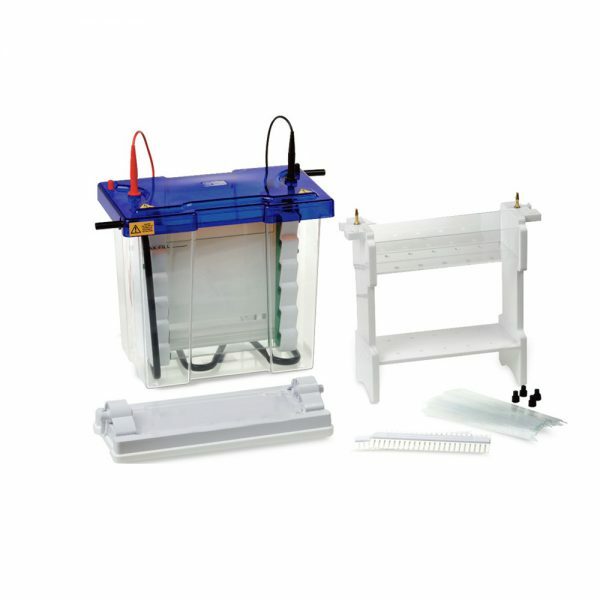 The complete stand-alone units for first dimension capillary tube gel electrophoresis are available which include the W Maxi tank and lid, tube gel module, tube and dummy ports. The units are interchangeable with W Maxi slab gel and blotting modules.